I will be in touch with you by email so that I can send you “The Brazilian Kitchen” as a token of my appreciation for your support to the Bewitching Kitchen. Congratulations, Adele and happy cooking. Adele is someone I’ve “known” for many many years, long before I had a blog, so it was fun to see Phil picking her name. She is a member of a cooking discussion group I used to hang around often – great cook, great baker, wonderful person! Got the book today, the package is very pretty, pale blue with pink & red flowers on it! I have 10 tabs in it already. These are ones I can do with the addition of one or two locally found ingredients. I happened to buy chorizo because I want to try doing something with it, not sure I bought a good brand last time I tried it. This is leading me toward Portuguese Soup (Caldo Verde) for this weekend. I am deciding between the Coffee Souffle w/Dulce De Leche Sauce or Molten Dulce De Leche Cake. I would make the Avocado Creme Brulee, but I refuse to buy avocado’s since I have a tree out back, it produces later in the year though. Thank you Sally, I’m going to have a lot of fun with this! How exciting! Thank you so much! When I get it I’ll make something out of it the next weekend and tell you all about it. Sempre recebo suas novidades por e-mail, não fiquei sabendo do sorteio.Mas participo da próxima vez.Beijos. Ah, que pena! Decidi colocar um link aqui no post para que fique claro como foi que esse sorteio aconteceu, espero que na proxima vez voce possa participar tambem! 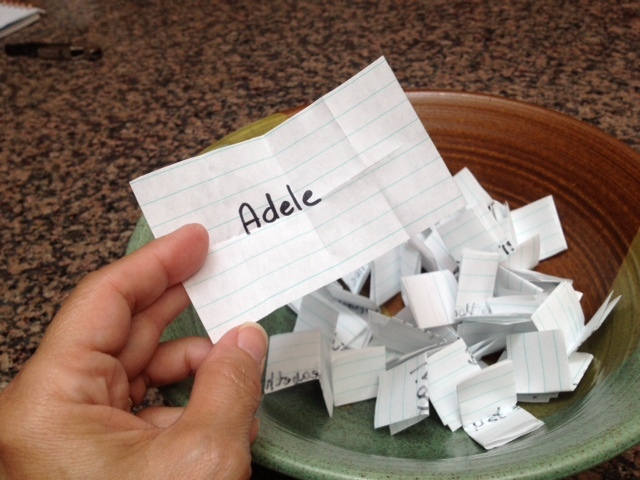 Congrats Adele, I know you’ll enjoy the book and can’t wait to hear about your first dish from it! Congrats to the winner!! And thank you Sally for the opportunity.